I have a surprise for all of the Mommas out there today. A beautiful FREE ebook from Attune Foods featuring Gluten-Free (and often free of many other things as well) Recipes from some amazingly talented Gluten-Free Moms. 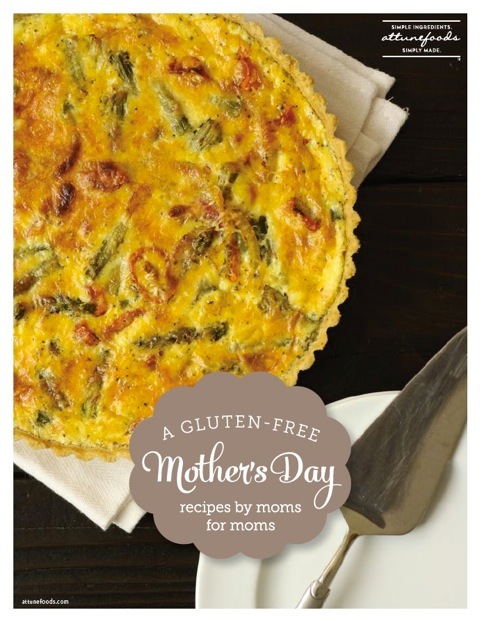 Within the pages of A Gluten-Free Mother’s Day: Recipes for Moms by Moms, you’ll find gluten-free dishes with simple ingredients for breakfast in bed, brunch, recipes designed specifically for cooking with kids, and those you can make ahead of time. And there is something for every type of dietary restriction, too. Mom can choose her favorite and hand the recipe off to Dad, or she can bring her kids into the kitchen and let them help prepare a meal to celebrate her. And as a special treat for you…EVERYONE gets a copy. Why? Because as a gift for all of those hard-working Moms out there, this gorgeous book is FREE. Yes. FREE…. SO… if you have a Mom, are a Mom, know a Mom, or know someone that is like a Mom… share this book with them. Shout it from the rooftops. Pin it. Share it. Tweet it… and then… go download yourself a copy pronto. You will be thrilled you did. Your Mother’s Day meals will be delightful because of it! And I even have one of my family’s favorite brunch recipes included in the book…. 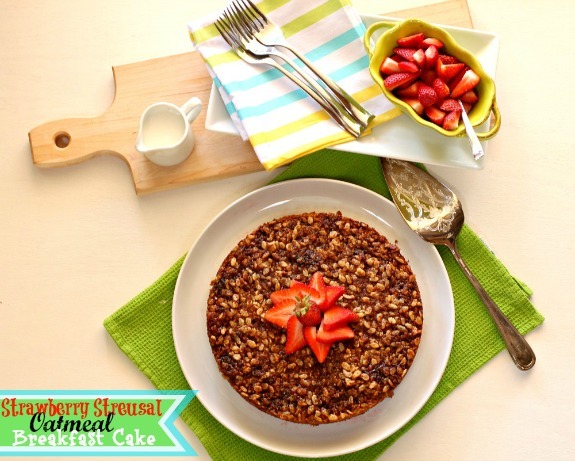 My Make-Ahead Strawberry Streusel Oatmeal Breakfast Cake. When I asked the boys which recipe I should include for the cookbook, this was the one they both immediately agreed on. And if you know my boys…this was a big deal. They don’t agree on much very often… so I knew I had to go with this one. And leave a comment here telling me what you are doing for your Mother’s Day – hopefully it will include cooking something incredible from this book! Thanks so much! The recipes would be of great help. Please send this free cook book to all my Face book family and friends. Rhank you, and Happy Mother’s day and everyday to you too!